A feel-good factor on the field and turmoil behind the scenes is just one more episode in the everyday tale of footballing folk that is the West Ham soap opera. By chance I happened to watch a Premier League chat show on Fox Sports Asia in the week. Ordinarily, the participants rarely stray from discussing the merits or otherwise of the big six clubs, but on this particular occasion there was a brief interlude on West Ham – featuring the reincarnation of Samir Nasri and the possible transfer of Marko Arnautovic to Shanghai. During their chat, the show’s host commented that the goings on at the London Stadium often resemble a soap opera. The reason I mention this is that, as fans, we are so eager to consume club news that it is easy to take events out of proportion. 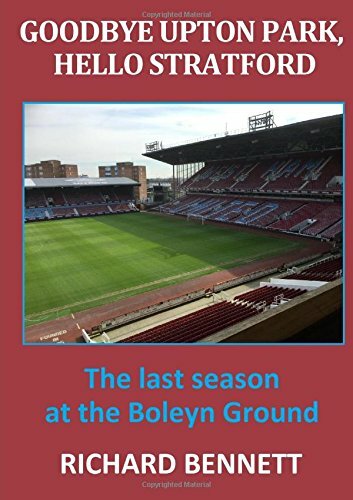 Many of us will have come to the conclusion years ago that the Hammers attract more than their fair share of turmoil and absurdity– a cross between pantomime and a soap opera – Cinderella meets Eastenders! It was just interesting that outsiders also see it in the same way. This weekend sees West Ham off to the seaside to face AFC Bournemouth and for the second week running they have the opportunity to get payback against a team involved in the early season losing streak. The Cherries have fallen away somewhat in recent weeks having won just twice from the last twelve league games and now sit four points behind West Ham in 12th place. They may be disappointed with this but are still well clear of the relegation worries that many predict for them at the start of each season. Eddie Howe continues to work wonders at Dean Court. Although it is a small field, he continues to be the brightest English manager in the top level – and one who doesn’t rely solely on bus parking, aerial bombardment and attrition to get results. His is the type of energetic and enterprising side that so frequently unsettle our boys. That there are so few decent home-grown managers and/ or coaches continues to be a surprising reflection of our game; years of exposure to more enlightened overseas coaching methods has done nothing to inspire a new generation of former players to follow this path – easier to become a pundit I suppose! West Ham’s preparation has once again been overshadowed by the Arnautovic saga. As I write this he is still around and on that basis I expect him to start tomorrow. In fact, I expect an unchanged team from the one that kicked-off against Arsenal. If all of the media speculation is to be believed there will be a winter clearance sale at the London Stadium with rumours of Pedro Obiang, Javier Hernandez and Lucas Perez all following Arnautovic out of the exit door. Equally frenetic is the list of names slated to replace them – all of whom sound very exotic and have splendid Youtube compilations to support their causes. It would still be a surprise to me if there is more than one in and one out. And maybe all the Arnie bluster will turn out to be a negotiating ruse for a better contract. One name mentioned as a possible Arnie replacement is Bournemouth’s Callum Wilson, who has a fine scoring record against the Hammers. Wilson has been absent through injury just recently but may be available to return for this game. Definitely out for the Cherries are Francis, Cook and recent signing Solanke. Having previously wasted big money on another Liverpool reject, Jordon Ibe, the signing of the injured, non-proven Solanke for £19 million looks like a major gamble to me. Referee this week is Simon Hooper from Wiltshire. Hooper is a rare visitor to the Premier League and, whereas, this is his first engagement with the Hammers he has already taken charge of two Bournemouth games this season. Provided that the Hammers can keep the off-field shenanigans away from the pitch and aren’t caught napping by the host’s fast start, I will predict another three points this weekend courtesy of a fine 3-1 win. This match always has goals in it so cannot see any clean sheets. Our friend Lawro is going for a 2-1 Bournemouth win while Merson says 1-1. Previous Previous post: Rice and Nasri Provide The West Ham Polish As Emery Papers Over The Arsenal Cracks: Five Weekend Takeaways! Next Next post: Triskaidekaphobia for Bournemouth or West Ham?